Office hours: 9:30 am to 3:30 pm Tuesdays, Wednesdays and Thursdays. For the Period from 1 April 2017 to 31 March 2018. For the Period from 1 April 2016 to 31 March 2017. For the Period from 1 April 2015 to 31 March 2016. For the Period from 1 April 2014 to 31 March 2015. 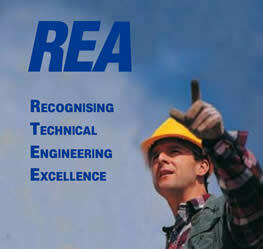 REA is awarded under the Engineering Associates Act. The Act requires REAs to have demonstrated a superior standard of engineering competence in the branch of engineering in which they are experienced. Registered Engineering Associates are highly valued within the engineering workforce. There are many thousands of REAs working in management and technical engineering supervisory roles within the New Zealand economy. Many of these technical engineers are involved in the export of products and services that are essential for the maintenance of New Zealand’s competitive advantage.